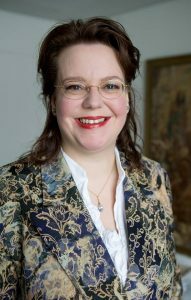 Antoinette Kouwenaar studied Dutch Civil Law in Leiden, with a side-step to Rotterdam, where she successfully completed a programme in Insurance Law. Having completed her studies, she spent a short time working for the Public Prosecution Service. After that, she followed her heart and became a qualified [certified] lawyer in 1998. Since 2004, Antoinette Kouwenaar has added her own touch to her family business, Kouwenaar Advocatuur in Nijkerk, in the middle of the Netherlands. Antoinette has extensive knowledge and experience in general civil law and has become a specialist in the field of Dutch business law, including corporate law, employment law and general contract law. Though a lawyer at heart, she also immensely enjoys the time – almost 12 years – spent working as an entrepreneur, which contributed to her empathy and practical approach. Her clients are mainly companies, SME directors (DGAs, CEOs, managing directors and other professionals), but she also helps private individuals, government authorities and multinationals. Antoinette is passionate about her work as a business lawyer and does whatever it takes. She gets to grips with her legal cases and won’t let go until the maximum has been achieved. She is solution- and results-oriented: negotiating where possible, litigating when there is no other option. After her statutory term as General Board Member of the Gooi Eem and Flevoland Chamber of Commerce ended, she was appointed Chairman of the Board of Trustees of the Stichting Eem-Vallei Educatief [Eem-Valley Educational Foundation], a foundation that supports thirteen local non-selective state-run junior schools. Antoinette Kouwenaar is a member of the following technical and business networks: NOVA, the Vereniging Arbeidsrecht Advocaten Amsterdam [VAAA, Association of Lawyers in Employment Law in Amsterdam], the Corporate Litigation Association, the Nieuwe of Litéraire sociëteit De Witte [a private society], the Northern-Amersfoort Business Club, and the Business Association De Hoef 3.0. Lastly, Antoinette participates in monthly topical jurisprudence and collegial consultations with another law firm, whereby she is responsible for fifty per cent of the preparations.